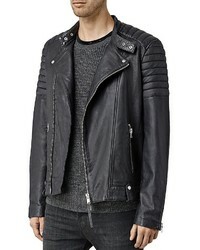 If you're hunting for a casual yet dapper ensemble, go for an AllSaints jasper leather slim fit biker jacket from Bloomingdale's and black jeans. Both pieces are totally comfortable and will look great together. When it comes to shoes, this ensemble is finished off nicely with white leather low top sneakers. 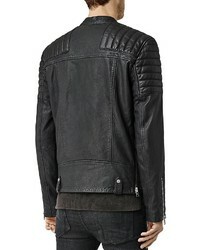 If you're hunting for a casual yet on-trend getup, marry a black leather biker jacket with black chinos. Both pieces are totally comfortable and will look great paired together. 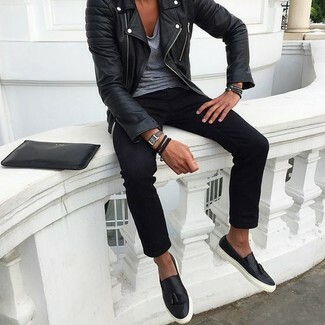 To add more class to your getup, round off with black leather tassel loafers. 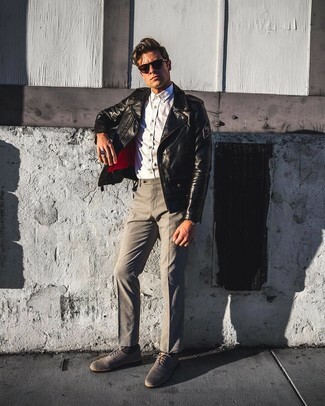 Rev up the dapper factor in a black leather biker jacket and grey dress pants. Add grey canvas oxford shoes to the mix to completely shake up the outfit. Contrary to what you might believe, outfiting sharp doesn't take that much time. Just consider teaming an AllSaints jasper leather slim fit biker jacket from Bloomingdale's with navy vertical striped dress pants and you'll look incredibly stylish. When it comes to shoes, this outfit is finished off nicely with white leather derby shoes. 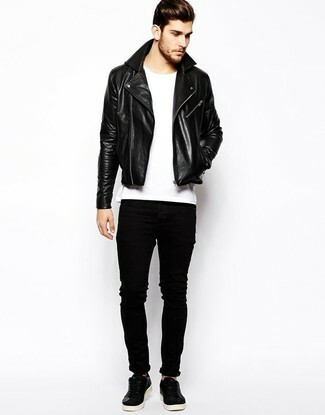 If you're on the lookout for a casual yet stylish look, go for an AllSaints jasper leather slim fit biker jacket and black jeans. Both items are totally comfortable and will look great paired together. Amp up the cool of your look by completing it with black leather casual boots. For a smart casual ensemble, try pairing an AllSaints Jasper Leather Slim Fit Biker Jacket from Bloomingdale's with black dress pants — these two pieces go nicely together. 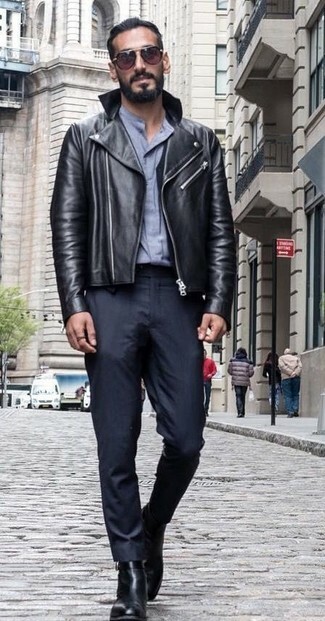 Look at how well this ensemble is round off with black leather chelsea boots. 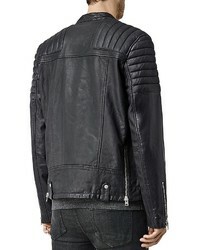 For a seriously stylish look without the need to sacrifice on comfort, we like this combo of an AllSaints Jasper Leather Slim Fit Biker Jacket from Bloomingdale's and black jeans. Wondering how to finish off? 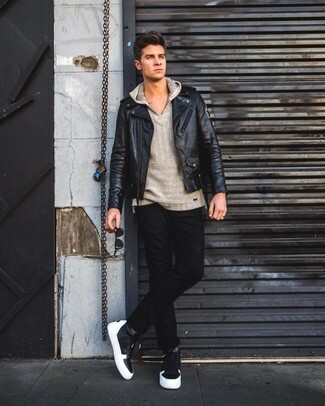 Introduce black leather high top sneakers to the equation for a more casual aesthetic. If you don't like putting too much effort into your ensembles, wear an AllSaints jasper leather slim fit biker jacket with olive camouflage chinos. When it comes to footwear, this getup pairs perfectly with white low top sneakers. 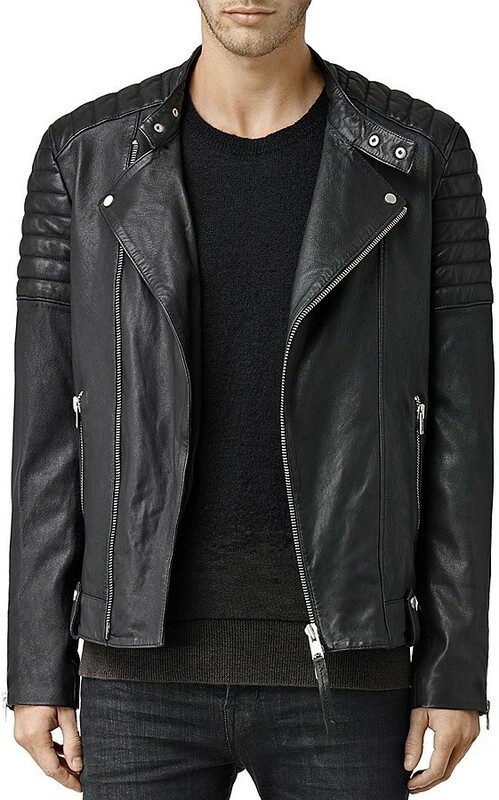 If you're hunting for a casual yet sharp look, make an AllSaints jasper leather slim fit biker jacket and black jeans your outfit choice. Both garments are totally comfortable and will look great together. 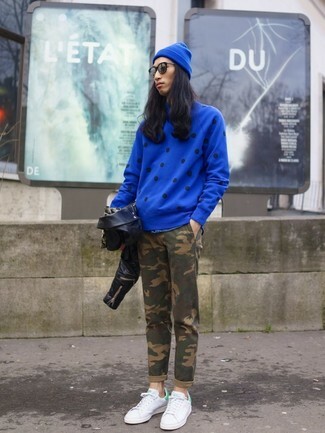 When it comes to shoes, this outfit pairs wonderfully with black leather low top sneakers.